Blog Accounting Can Artificial Intelligence Be the Future of Accounting? Before going into some detail on whether artificial intelligence or AI is the future of accounting, it will be relevant to know some basics about it. AI is the ability of machines and software to display cognitive intelligence that promises to positively impact and raise operational efficiencies of many sectors. However, AI raises a lot of moral issues as machines can now both think and learn like a human being, but there is no denying the fact that it has brought about revolutionary changes in certain business processes. Cloud computing when introduced was considered to be disruptive, AI promises to go much beyond that. AI is considered to be a business tool that can enhance business performances exponentially, especially in areas that require a great deal of precision, accuracy, and analytical decision-making. Apart from logistics, research, development, sales, and marketing, the impact of AI will be felt most in accounting, a field that requires highly skilled and technically qualified personnel. Accounting has in the past gone seamlessly from manual processing to sophisticated software to cloud computing, and now has to take in its stride the challenges of AI. 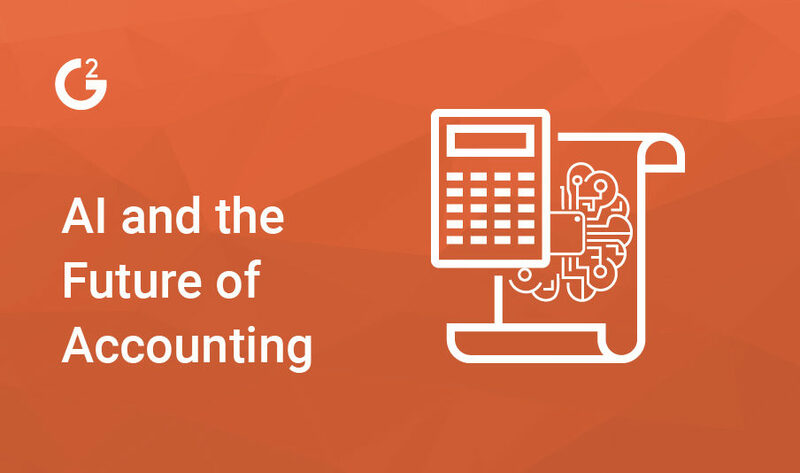 Businesses are today adopting and implementing advanced technologies to streamline their operations, and one function that is on top of the list is accounting. This is because AI is giving high positive outcomes like reducing costs and time, increasing productivity, and improving accuracy. Given its many positives, AI is being increasingly used in administrative procedures, and accounting and a host of structural changes are being brought about so that the many benefits of bots and AI can be quickly put in place. One of the primary benefits of AI in accounting is in the area of compliance, as all data handling and processing is being completely automated. Hence, every tax report will have data that has guaranteed accuracy levels, and has been generated quickly and reliably. Further, bots can recognize and categorize data from various sources into the right accounting head, which means that AI is doing this crucial task absolutely on its own. Some dedicated tasks conventionally done by accountants, such as processing of accounts payables and receivables, are being done fully by AI, thereby leading to enhanced cost management by businesses. A crucial problem in accounting and one that gives nightmares to accountants is the frequent discrepancies between the internal accounts of a business and its bank accounts. Even though cutting-edge software has made things a lot easier than what it was in the manual reconciliation period, the output by the software is only as good as the quality of data entry. With AI all this has seen a radical shift for the better. AI has been taught to read accounting reports and bank statements so that it can configure everything and point out errors, if any. Not only can the reconciliation process be done promptly every month, it can also pick up any fraudulent transactions quickly. Another usual accounting problem crops up when one payment is made to cover several bills or when one bill has several partial payments. For large companies with thousands of bills every month, the grouping of money owed and money paid can run into millions. However, AI has the ability to find a combination of numbers that equal other numbers, and can quickly match payments to bills, keeping track of all outstanding. This one aspect is sure to take a huge load off accountants. The above points are just examples. Similarly, AI can solve a host of other accounting problems which will immensely benefit accountants to a great extent. Will implementing AI eliminate accountants? The answer to this question is a categorical NO, and these are some of the reasons why. One of the daily obligations of an accountant is to perform such data-centric tasks as auditing, tax, and accounting back office even though software today has brought down the human touch. But AI will surely eliminate all types of tasks like transaction coding and other cumbersome data-related tasks. The advantage here is that it will enable accountants to focus solely on advisory services and other high-value tasks thereby increasing their worth in an organization. Another area where AI is playing a major role is in compliance with organizational policies, and numerous rules and regulations. However, it will be an accountant’s role to ensure and monitor that the interpretation of data processed by AI remains, and continues to be, a vital tool in any decision-making process. If accountants and auditors are to work closely with AI and ultimately succeed in their profession, here are a few skills they need to adapt to. Capability to meet challenges of automation – Accountants in this age of AI are likely to encounter processes used by clients that can be improved through automation. This is regardless of whether they are financial processes or production processes. The ability to implement automation and improve client efficiency and reduce costs will be the main differentiator between CPAs in future. Basic data interpretation skills – Any accountant has to deal with massive quantities of data, processes, and organizational policies that vary between clients. With the implementation of AI, the core cumbersome tasks will be eliminated but accountants have to have proficiency in data strategy, statistical analysis, probability, and deductive reasoning. AI is already impacting marketing and is destined to ring in radical changes in the business and accounting sector, with wide-ranging possibilities of a substantial increase in productivity and lowering of costs. This is apart from the precision and accuracy that AI can bring in any tedious manual tasks that have been automated. Even though accountants are highly qualified and trained, they can make mistakes, rare though it might be. Computers with sophisticated AI compatibility, on the other hand, can take over financial roles and execute jobs accurately and with precision, thus becoming better fiduciaries than their human counterparts. When a comprehensive view of artificial intelligence and the future of accounting are matched together, the future definitely has a positive and improved look. Author Bio: Avneet Narang brings more than 10 years of experience in digital marketing, branding, advertising and public relations to her role as a Marketing Manager at Cogneesol, a well-recognized specialized services company. Avneet’s primary focus is to increase brand popularity and global customer base through innovative digital strategies. After spending nearly a decade working in this field, she understands what truly drives conversions. At Cogneesol, she is in charge of the marketing, communication and business development campaigns of the company. Apart from strategic business development initiatives, she manages media relations, branding, promotions, and web development. A proficient researcher, she also keeps abreast of the latest market trends and demands, and provides useful business insights to the management.